Community parties don't get better (or have cuter moments) than this one. The party had something for everyone (food, horse rides, a mechanical bull ride, etc.) but especially for blues fans. Buck called in all his friends and here's who showed up to play: Willie Buck (vocals), Eddie Taylor Jr. and Thaddeus Krolicki (guitars), Bob Stroger (bass), Scott Dirks (harp), Kirk Manley (keys) and Lester Jordan (drums) with special guests Low-reen and Willie's grandson, who clearly stole the show. New Orleans charm, Memphis swagger, dark theatrical moments and tender gospel passages...this band has got it all, despite (or because of) their Minnesota roots. And Davina has been compared to Etta James, Amy Winehouse, Janis Joplin, Billie Holiday and even Betty Boop. WHA?????? See for yourself. THE SKY IS CRYING. I don't have to tell you Queen Aretha Franklin left us this morning. The sad news is everywhere. A few days ago, Aretha's family prepared fans for this sad day by announcing that she was in hospice care. Rest in peace, Aretha. I think you know how much we all loved you. There are a zillion pages of tributes online to the Queen of Soul so I don't need to give you any links that you cannot find yourself. THE SKY IS CRYING, PT. 2. 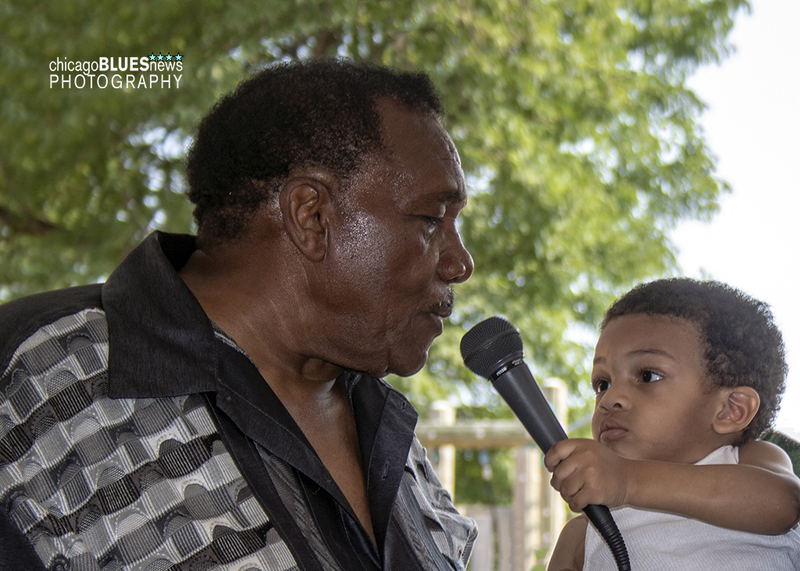 Bass player Dancin' Perkins, one of the Maxwell Street Market regulars and father of drummer Chris Alexander (who plays with Mojo Morganfield and the Mannish Boyz) died Wednesday, March 15. If you know Chris, reach out to him during this difficult time. AND MAYBE ONE MORE. Although there is no other info that I can find, there was a post in The Real Blues Forum earlier this week that said that Lazy Lester was in hospice care suffering from liver cancer. I hope this is not true and am thankful that Johnny Burgin got Lazy Lester to come up to Chicago for Blues Fest a few years ago. SO MUCH BLUES, SO LITTLE TIME. It's another weekend in Sweet Home Chicago where you have too many good choices for bluesy fun. It's a weekend when I should have stayed home, but instead went with OPTION 5 (don't ask why). NOTE: The website says Corey Dennison; another source says Peaches Staten & The Groove Shakers with Mike Wheeler so it will be a pleasant surprise no matter who shows up. Andre Taylor Band with special guest Chuck A Luck @ The Redline Tap Buffalo Bar (which I think is at The Heartland Cafe now, but could be around the corner). 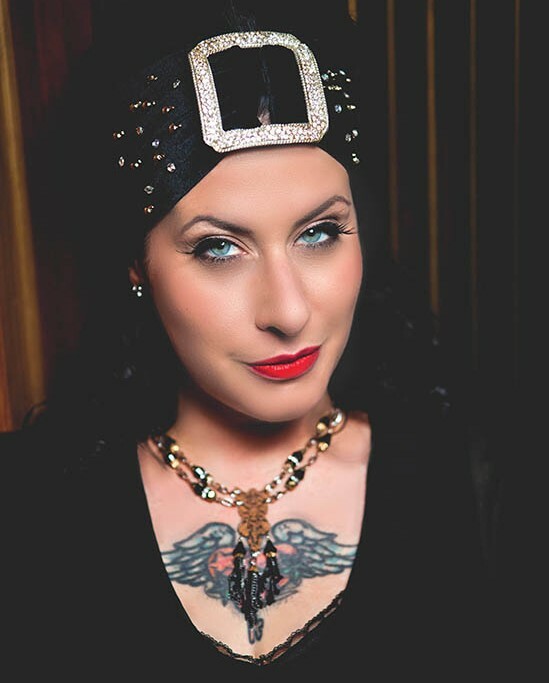 Corey Dennison, Dwayne Dopsie and the Zydeco Hellraisers, Mike Wheeler Blues Band and Mud Morganfield plus The Chicago Blues Supersession, which could be The Lurrie Bell Blues Band. NOTE: The Supersession link goes to a 210Live page that lists a bunch of players, but I know for sure that Tom Holland is currently in France so your guess is as good as mine who will show up. Again, it will be a pleasant surprise yada yada yada. Music is free, and includes the Nick Moss Band, Dave Weld & the Imperial Flames, Jonathon Boogie Long and T-Bird Huck, but the craft beer tasting will cost you sumthin'. There also are several Blues Fests within driving distance if you need some time on the open road. So much confusion (in some places), and so many iffy info sources...but no matter what, all options guarantee a good time. 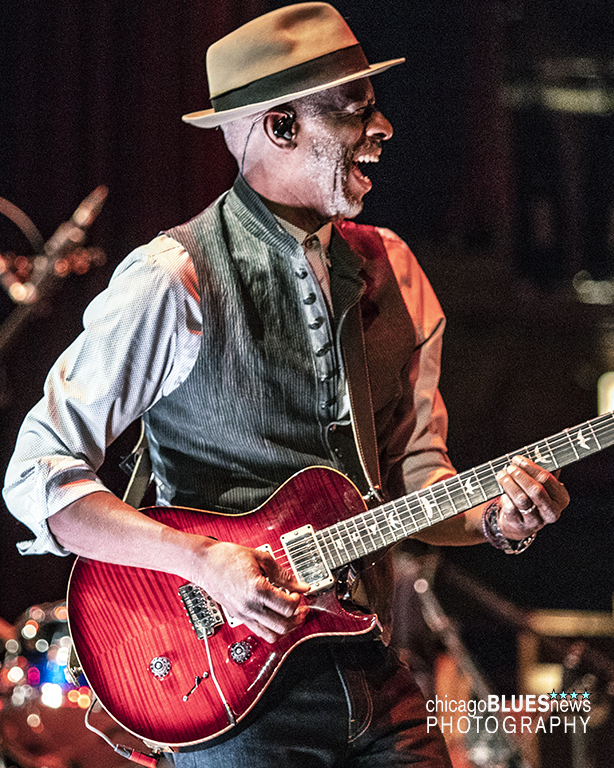 Michael Ledbetter will be participating in a celebration of Otis Rush's Mourning in the Morning recording on August 29 at Blind Willie's Blues Club in the Virginia–Highland area of Atlanta. Red Paden (Red's Lounge) is organizing a new, real-deal blues fest that will feature Mississippi blues legends who are at least 60 years old at a free, all-day event in Martin Luther King Park in Clarksdale. QUESTIONS? Go see Big Red–or you can email Orlando Paden at sirpaden@yahoo.com or Mac Crank at mac@bluescrossroads.us. SPEAKING OF LONG TRIPS. The First Annual Johnny Winter “Winterfest” will be held Jan. 24-31, 2019, at Mango's Beach Resort in Trelawny, Jamaica (somewhere between Montego Bay and Ocho Rios). It will feature Sonny Landreth, Samantha Fish, Derek St Holmes, James Montgomery, the Paul Nelson Band and more. It's an all-inclusive trip so reach deep in your pocket if you want to go. I'll probably skip this one, mostly cuz I would want Johnny to be there. But don't follow my lead...Jamaica could be your idea of nirvana. QUESTIONS? Grand Travel Services at 519.265.6422 or at travelbydawn@outlook.com. CRANKY WOMEN'S ALERT. I just discovered that Saffire, the Uppity Blues Women, have been revived as Saffire Revisited. The new band features original Saffire members Andra Faye (vocals, bass, mandolin, violin, guitar), Gaye Adegbalola (vocals, guitar) and new band member Kelley Hunt (piano, vocals). Hunt replaces the wonderful Ann Rabson, who died in 2013. You can see the new lineup Friday (8.17) at The Jazz Kitchen in Indianapolis or Saturday (8.18) at The Widley Theatre in Edwardsville, IL (near St. Louis). Hopefully, many more appearances are coming. YOU SNOOZE...In case you were waiting to buy tickets to see Beth Hart on Sept. 19 at the Park West, find something else to do that night because it is sold out. Or...try StubHub. UNIVERSITY OF THE BLUES. 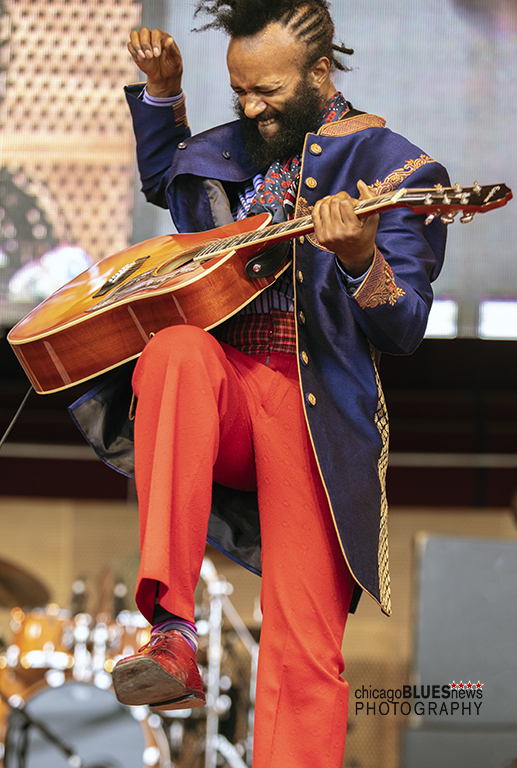 The complete schedule for the Logan Center Blues Fest, which will be held Oct. 19–21 at the Reva and David Logan Center for the Arts at the University of Chicago, has been released. 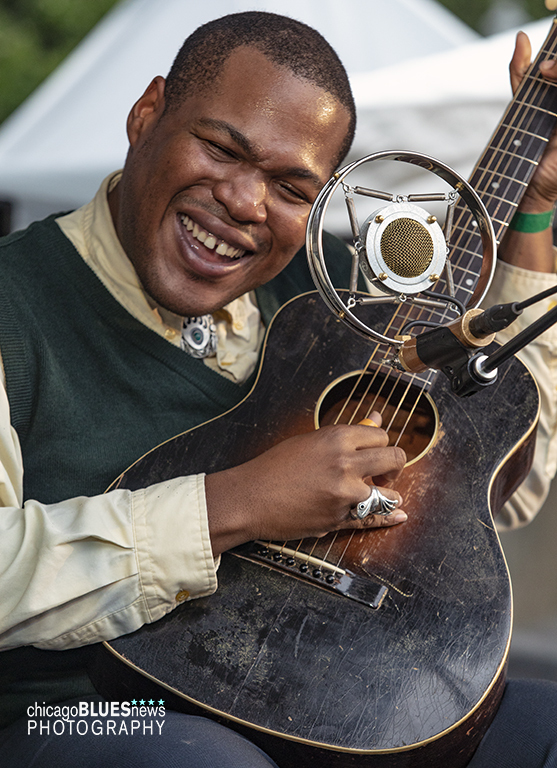 There are a lot of discussions and workshops plus some interesting performances that include Jerron "Blind Boy" Paxton (with Chris Thomas King) and Charlie Musselwhite. Also of note: The premiere of Chicago Blues: an Urban Experience, which features the video and audio archives of Barry Dolins, who ran the Chicago Blues Festival for more than 25 years, and a Q&A with Bruce Iglauer and Patrick Roberts about Iglauer's memoir, Bitten by the Blues, which comes out in October. MORE FALL BLUES. The King Biscuit Blues Festival (The Biscuit to the cool kids) will be held OCT 3-6 in its usual location in Helena, AR. At this point, though, if you haven't made reservations, the closest place to stay might be Chicago. Lots of great blues bands as usual, but Blackberry Smoke? Really? When did they become a blues band? A NEW BLUES VENUE. MyGrain Brewing (50 E. Jefferson in the Old Union Station Building in Joliet) has "Blues, Brews and Chews," according to the poster on the front door of the joint that says the Wednesday night performances are an "Open Mic Blues Jam." Coming up: AUG 22–Doug Lee & The Blues Family with Rob Stroger (I am pretty sure this is Bob Stroger, maybe in Witness Protection) and AUG 29–Susan Williams & The Wright Groove. The food is pretty good, too. COPYRIGHT REFORM. The Recording Academy (aka the Grammy people) announced that saxophonist and vocalist Mindi Abair and producer and songwriter Harvey Mason Jr. will lead the Academy's National Advocacy Committee as co-chairs. The committee's first goal is to ensure that the Senate passes the Music Modernization Act, which would be the first major reform to music copyright law in decades. The committee also wants the music community to participate in the Academy's annual District Advocate Dday on Oct. 24. A Senate vote on the legislation is expected within the coming months. I have a general crabby comment, but I like to save them for Grammy season. THROW YOUR HAT IN. 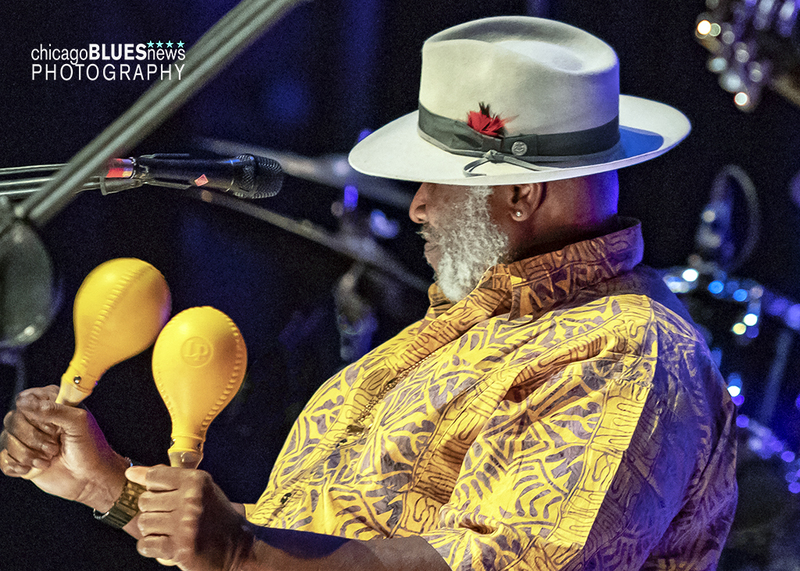 The Blues Foundation is now accepting submissions for the 40th Blues Music Awards. Any blues recording released between Nov. 1, 2017 and Oct. 31, 2018, is eligible for a 2019 Blues Music Award. The Rialto Square Theatre, restored about 40 years ago, is gorgeous, and the pairing of these two blues greats was magical. I would also agree with the Living Blues' Critics Poll: Jontavius Willis does deserve more attention–a lot more. 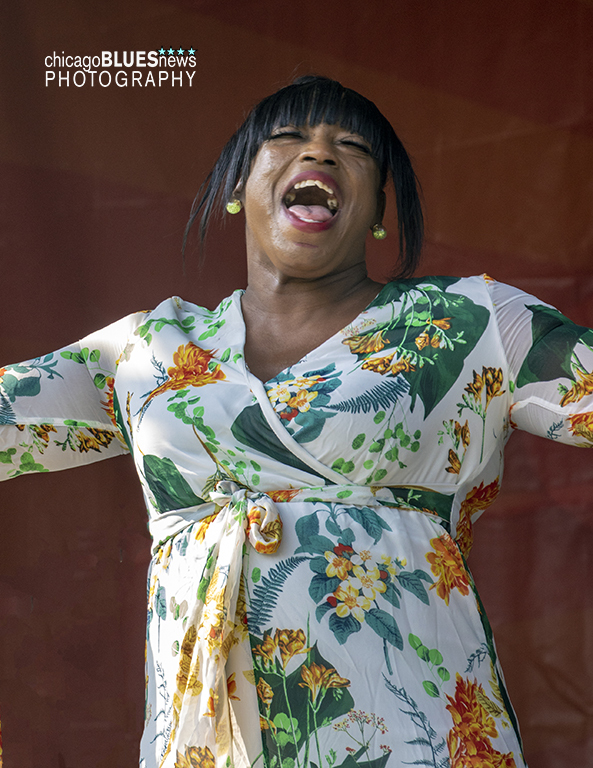 Who could resist all those hot dogs in the park–plus a performance by one of Chicago's great blues divas? We sure couldn't. Interesting that a recent Grammy winner (for Best Contemporary Blues Album) is appearing on a Tuesday at a small club on Chicago's north side.